H: 23 cm (9″), W: 20 cm (7,9″). 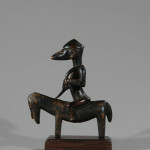 As emblems of professional success acquired by diviners at the height of their careers, equestrian figures such as this one are synonymous with spiritual efficacy. 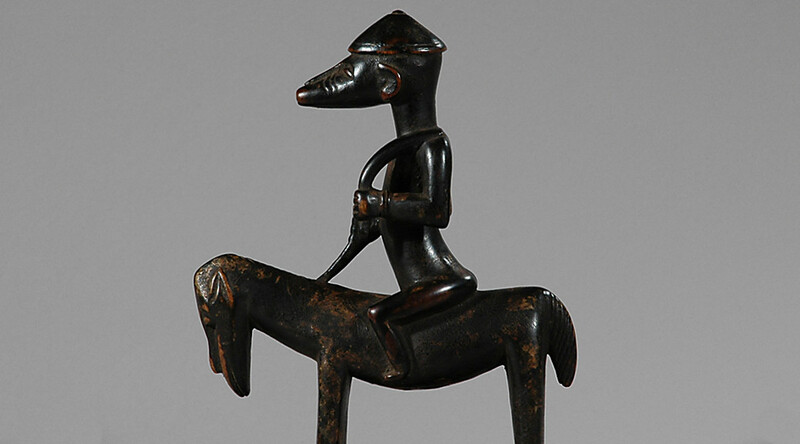 Referred to as “lord of the horse” (syonfolo), this image of martial strength suggests formidable power. 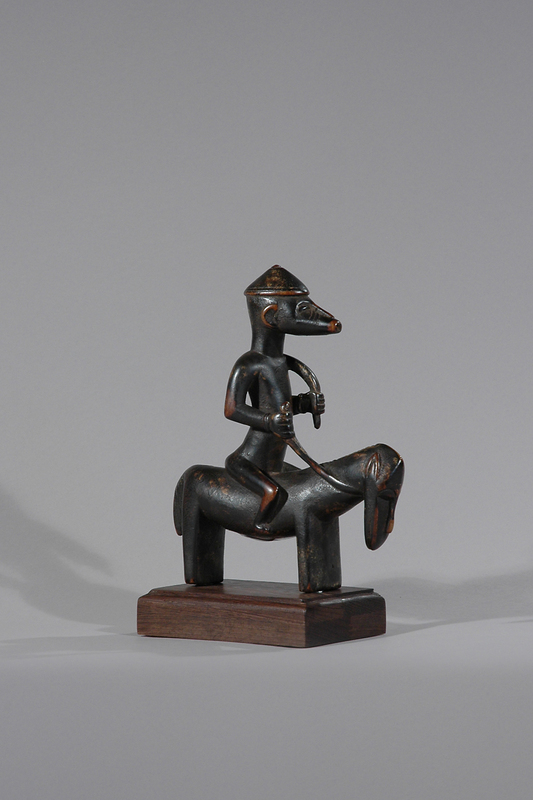 Among Senufo elders, the motif evokes memories of mounted invaders from faraway territories—primarily the Djula peoples from the north whose superior strength wreaked devastation upon local inhabitants during the late nineteenth and early twentieth centuries. 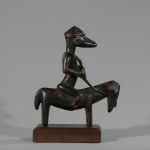 The foreign character of the image complements the otherworldliness of the madebele, while the assured confidence with which the rider guides his horse and carries his weaponry alludes to the diviner’s skill. 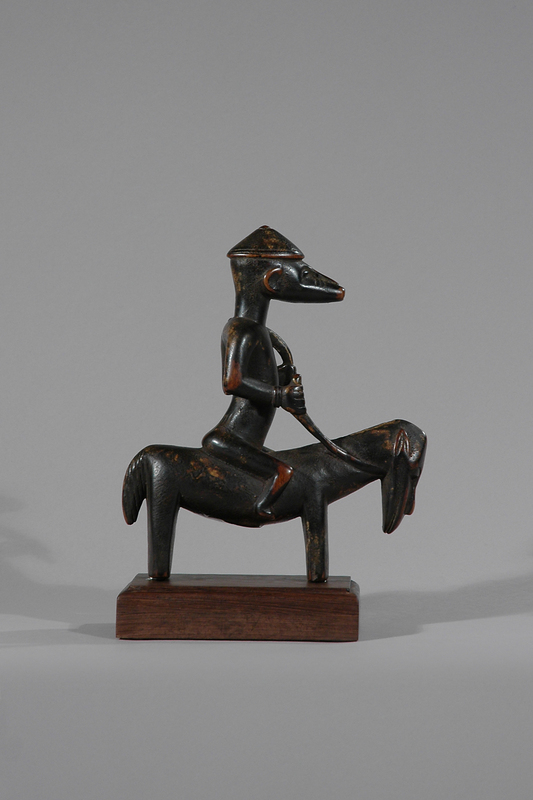 No mere aesthetic flourish or esoteric luxury item, this supplement to a diviner’s essential tools makes a forceful visual statement evoking the dynamics of power and success in Senufo society. 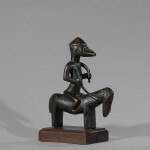 Provenance: Acquired from a African dealer, Essar Diambete, ABIJAN, Ivory Coast in early 2000. 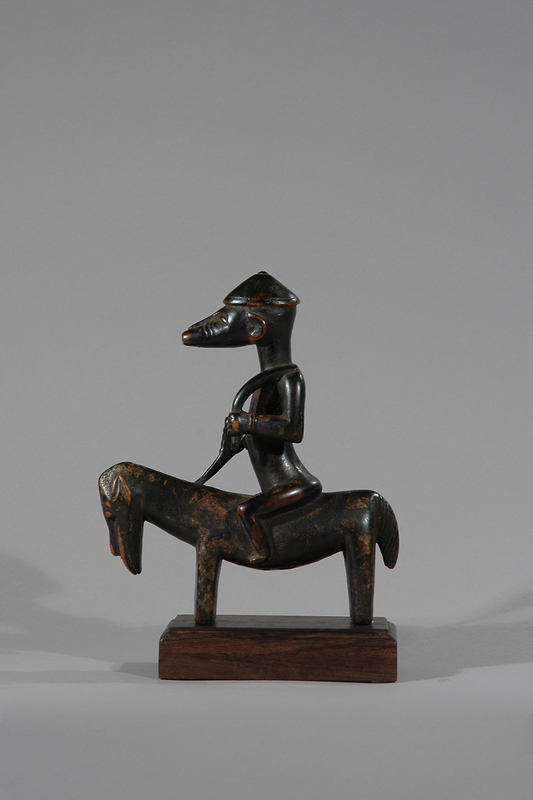 Bought from a gallery in Bruxelles 2013.